We got some tough news today. Our sweet baby girl has spina bifida and club foot. Not sure of the severity yet. Please keep our sweet baby in your prayers. We had a couple sonos today, one at my OB, and another at a perinatalogists to confirm. All we know is it is low on her back, which is hopeful, but we won't know more until I have an mri. This was all a bit of a shock for us today. I've been taking prenatal vitamins for months before we got pregnant, and the blood test to check for this at 16 weeks came back normal. As did the 12 week sono. It's a lot to take in but we will do everything we can to give her the best chance. We love this little girl so much already and will do everything we can for her. 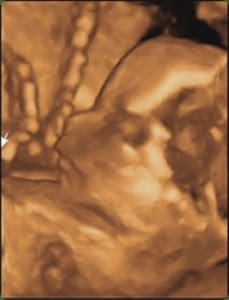 We cannot wait to meet her and share our love with her. Thank you so much for your continued prayers.